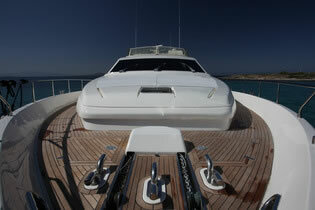 M/Y KENTAVROS II Ferretti 80 is a luxury motor yacht offered crewed for charter in Greece and Greek islands. 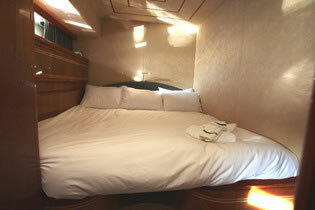 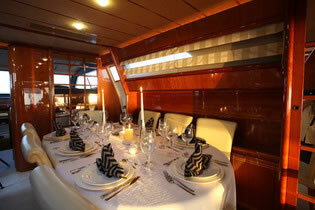 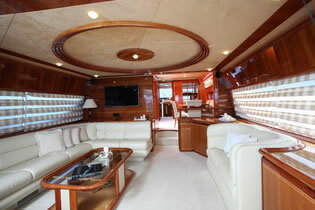 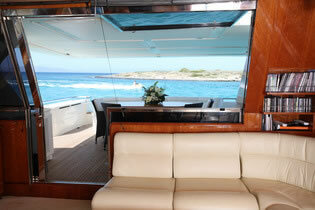 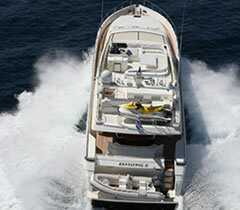 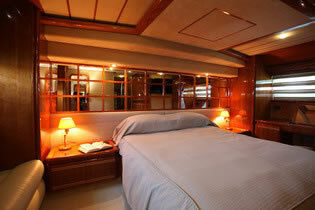 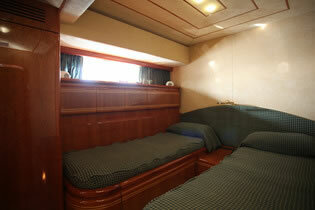 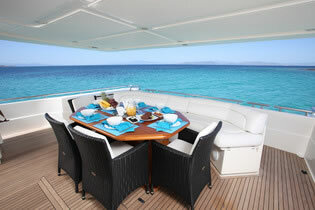 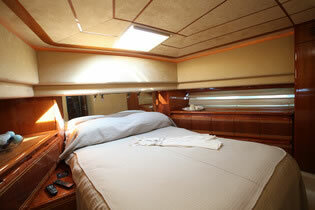 On this yacht you will find all amenities expected from a Ferretti of its class and more. 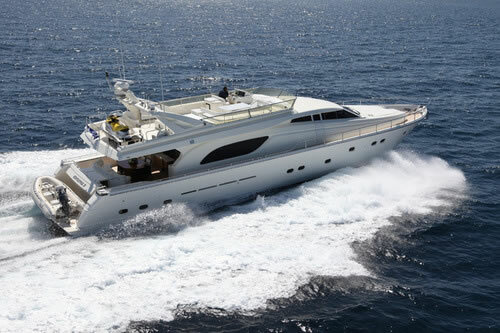 She is safe, luxurious and fast cruising at speed of 27 knots offering accommodations for 8 guests in 4 staterooms comprising of a master, a VIP and 2 twin. 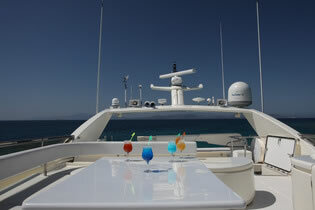 An inviting and relaxing interior complemented by superior woodwork leather and fine fabrics, a spacious exterior with open deck areas for private sunbathing, socializing and romantic al fresco dining plus a superior service by her fine crew, make a perfect sailing holiday in Greece.